In a departure (well not fully) from my usual posts about me and my car, this post is about a full day I recently spent with a good friend of mine, Japan-based automotive photo journalist Dino Dalle Carbonare (also known by his initials “DCD”), as he covered the last day (May 2) of the Spring Drift Matsuri at Ebisu Circuit in Fukushima Prefecture in northern Japan. As a motor photographer and journalist, Dino has what to many might seem to be one of the best jobs in the world – driving, reporting on, and photographing some of the most interesting, beautiful, and noteworthy cars in the world. Both here in Japan as well as around the world, on some of the best driving roads! Check out this beauty, one of his masterpieces both in photography and vehicle selection!!! LOL! Unfortunately I neither have the drive nor the talent to do what he does, but in spending the day with him, I realized that his job, while certainly glamorous, is not as easy as it seems. There are other necessary and required skills, including physical stamina, a critical yet appreciative eye for anything with an engine, extreme amounts of patience, an ability to meet crazy deadlines, and the creativity needed to “set up” what later becomes a memorable, “desktop” worthy photo. 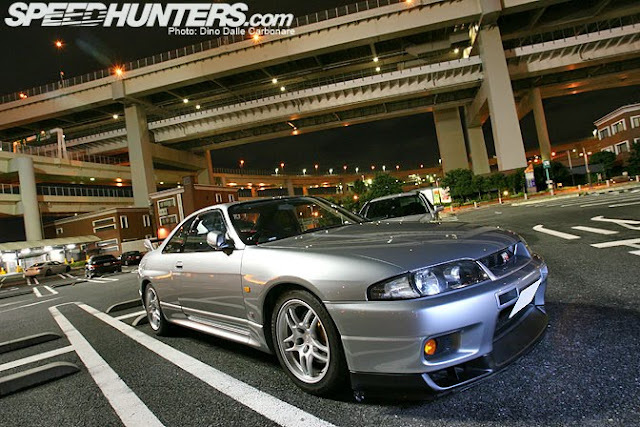 All of this takes years to develop to the level Dino has taken it to, and in the process, he’s made friends and contacts in the industry, giving him an unquantifiable and insurmountable edge that solidly cements him as one of the premier non-Japanese auto journalists in Japan. Anyway, enough buttering up. His ego needs no (additional) inflating. 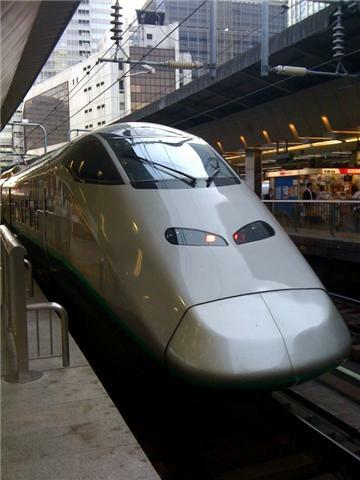 Here’s how the day began for me at 0600 Sunday morning, Tokyo station - an amazing ride, yes, but nothing close to what I would later experience that day! 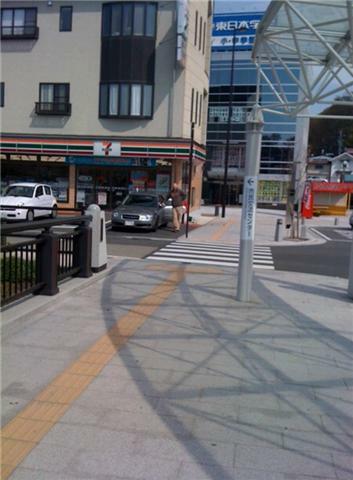 3 hours later, Dino was waiting for me beside his workhorse Subaru Legacy wagon at Nihonmatsu station, the closest station to Ebisu Circuit. 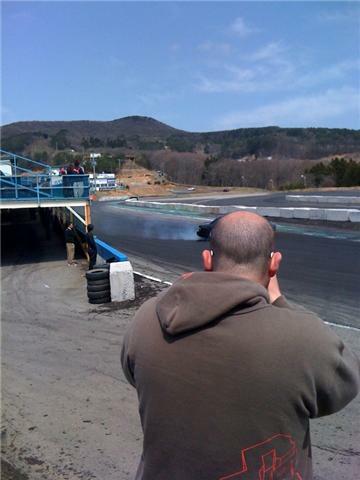 Once at the circuit, Dino proceeded to immediately hunt out the best possible shots. This is much harder than it sounds. Getting the best angle is very important – sometimes it’s interesting what cars look like from above I guess. And as the photos later show, it’s not just about the angles – he’s simultaneously playing with different lenses, ISO speed, aperture, etc. and all those other technical camera settings. 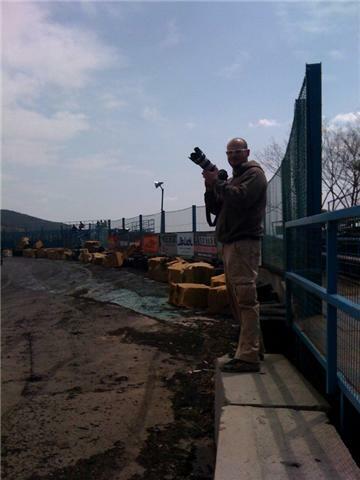 ...it also allows a rapid series of photos to be taken as the cars come flying down and then take the corner at full speed. 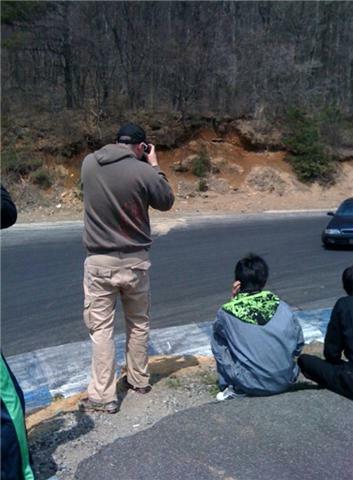 He also has to risk getting his clothes dirty – here he is in the “sniper” position, focusing on a very interesting (to him) wheel on a red Nissan. Note how he strategically parked his Subaru in front of this red car to make sure it didn't drive away!! Minutes later, the guy next to him is getting bored and I am getting tired... yet Dino keeps trying to get The Shot. So I decided to enjoy the Drift Matsuri – here I am with Allen from Tomei Powered, getting ready to experience the thrill of a lifetime in Allen's very special AE86! I then was offered a ride with Andy Gray of Powervehicles – I took the following in-car video. Words can’t adequately describe how this all felt, and the video does not do it justice either. Simply awesome! Thanks again Andy. Meanwhile, Dino continued to do his job, taking photos all day long, until well after the event ended (I was off taking to people, taking naps, etc.). I for one could not do this kind of work. While we do share a passion for cars, Dino certainly has a way of staying focused and energetic while working. I think the conclusion is, like any profession, the guys who have invested time, energy and resources are the ones who make it look easy, and rise to the top. Shortcuts don’t work here, either. Final word – thanks Dino for the invite to tag along at Ebisu, and for letting me write this up. My hope is that with this post, readers can have a better understanding and appreciation of your work! His (Dino) job is one of the most dreamed for all car enthusiastic but if you want to be the best, you have to improve your skills everyday and he just do it. Keep on with your blog.